Grow brand awareness and drive channel revenue to new heights. One of the biggest challenges that comes with relying on channel partners to sell your products is getting these partners to effectively market the products you sell. 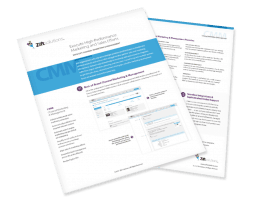 Turn your partners into marketing superstars with brand-compliant, easy-to execute marketing campaigns with the CMM platform recognized as a “Leader” in The Forrester Wave™: Through-Channel Marketing Automation, Q2 2018 report by Forrester Research, Inc.
Market to, through and for your partners with automated, partner-led, multi-tactic campaigns. Need help creating clutter-busting content and campaigns that work for partners? Look no further than Zift Creative Services. Use data to identify your high performing partners so you can target them with more content, campaigns and, of course, MDF for even greater results. Justify your MDF spend with meaningful analytics and closed-loop reporting that help boost marketing efforts. Enjoy clear visibility into what’s working and what’s not in your channel programs so you can easily share or adjust strategy based on real data. Vendors can establish co-marketing platforms, usually involving co-branding, for partner use. Create partner communications - newsletters, announcements, and emails - with HTML and text email templates. 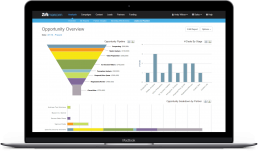 Includes email targeting lists and reporting on partner response. Allows partners to share co-branded dynamic content. 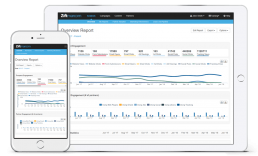 Using a plugin from Zift, syndicated content adjusts automatically based on website visitor data. Upload posts for popular social media sites to a media library for partners to utilize to entice new buyers. Create co-branded templates for campaigns. Output can be as images, PDF files or web templates. Create personalized emails, newsletters or announcements in the Email Builder. A library of digital assets created by suppliers for partner use. Partners can co-brand and customize content to distribute via email or social media. 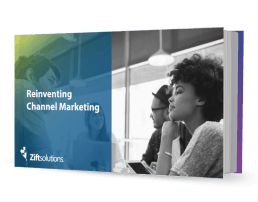 Zift blends the art of digital campaign creation, including creative keywords, ad copy and landing pages, with the science of ad spend, bid strategy and quality scoring. Suppliers can provide pre-approved marketing activities to partners, which can be ordered and paid for in Zift123 with MDF or actual funds. These activities are carried out by professional agencies designated by suppliers. Partners can enter MDF (Marketing Development Funds) plans online, detail planned activities and select available campaigns to execute. Deliver flexible, modern layouts that match your vision. All elements are mobile-responsive for on-the-go users. Serve up content to match partner, prospect and customer profiles. Bulk uploads, media content tagging and libraries make it easy to deliver the content partners need now. Upload digital assets for partner use. Loading, tagging, publishing, and retiring content is simple. Leads can be pulled from a variety of sources including marketing campaigns and CRMs, and assigned automatically using distribution rules. Event management for partners is available to manage attendance for trainings, webinars and other events. Standard reports, charts, and dashboards are available for instant access to partner activities. 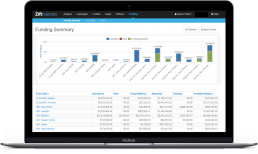 You can also create customized reports to measure data. Find partners in a service provided either within the portal or on a public website. Search criteria can be customized.